Over the past year MGRM has been working on a publication aimed at documenting the history of the LGBTIQ Movement. 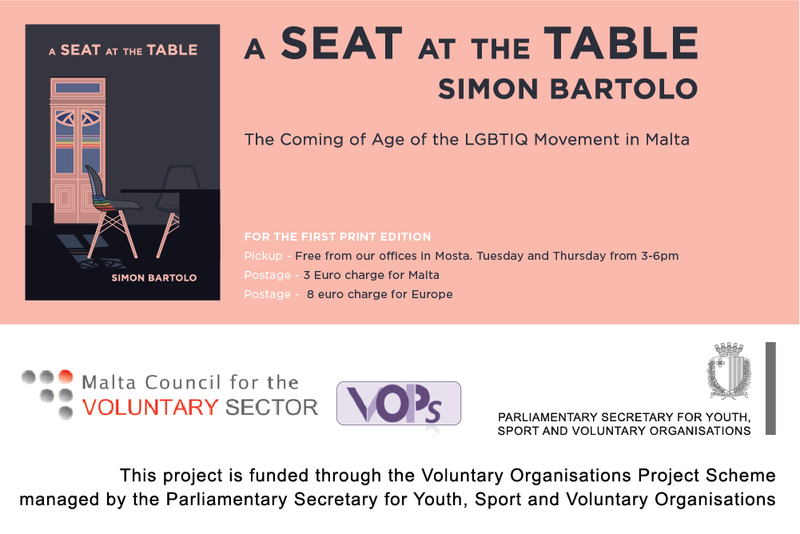 This is part of a project entitled A Seat at the Table: The Coming of Age of the LGBTIQ Movement in Malta co-funded through VOPS 2017. Simon Bartolo was commissioned to research and author the publication.